I wanted to get away, away from the snow, gray skies and 10 degree temperatures. However, my bank account wasn’t cooperating. What’s a girl to do, you may ask? After an exhaustive search on discount travel sites, I ended up buying a package deal on Hotwire that included both my flight and hotel. Booking the flight and hotel together saved me about $300, and made the trip totally “do-able”. I also played around with the days that I would arrive and return home. I found by flying in on Wednesday and departing on Saturday, I could lower the trip cost even more than by staying over the weekend. 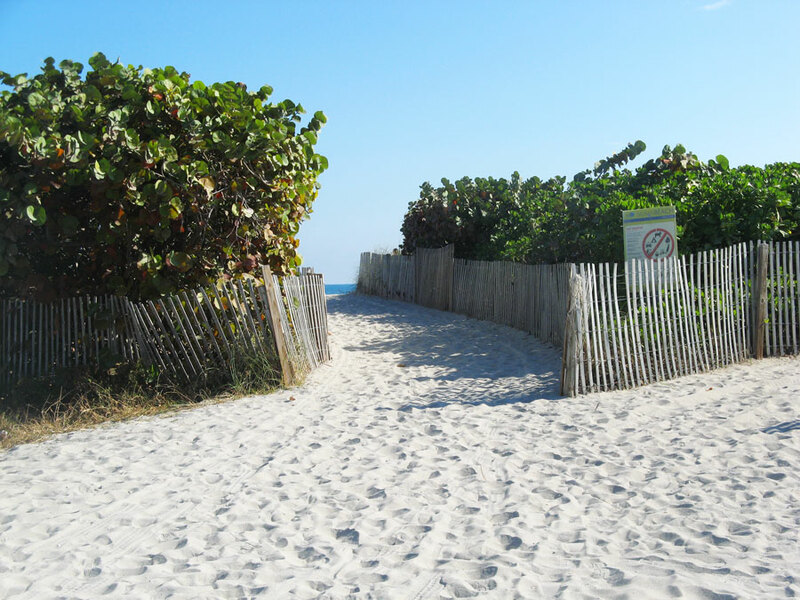 From the moment I stepped out of the Miami airport, the air filled with the salty slight smell of clams, I knew that this is where I needed to be. 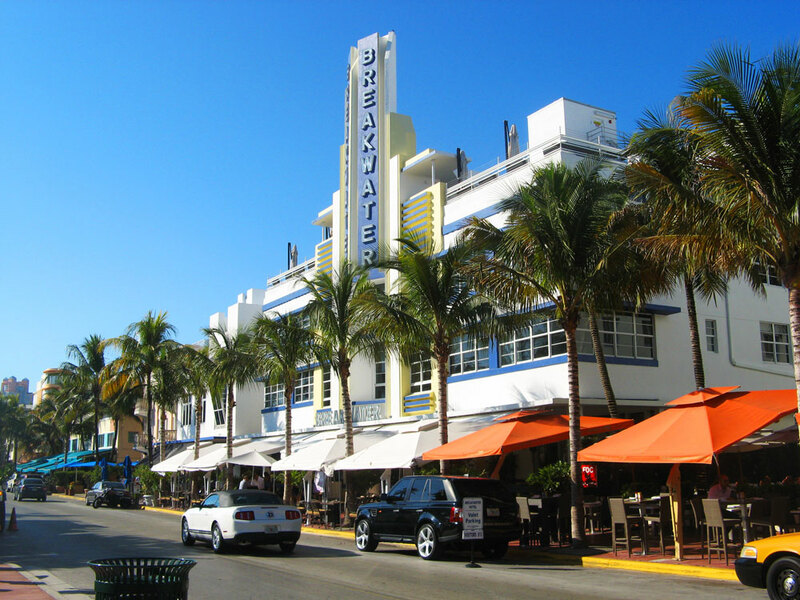 I hadn’t been to South Beach in a couple years and I was anxious to see what was new. The cab ride from the airport left a bad taste in my mouth after I realized that I had been overcharged by the cab driver by ten dollars. I was a bit apprehensive about the hotel staff’s attitude as I checked into this 4.5 star hotel that is located right on Ocean Drive. When I had stayed in random South Beach hotels in the past, the reception was, let’s just say, less than welcoming. 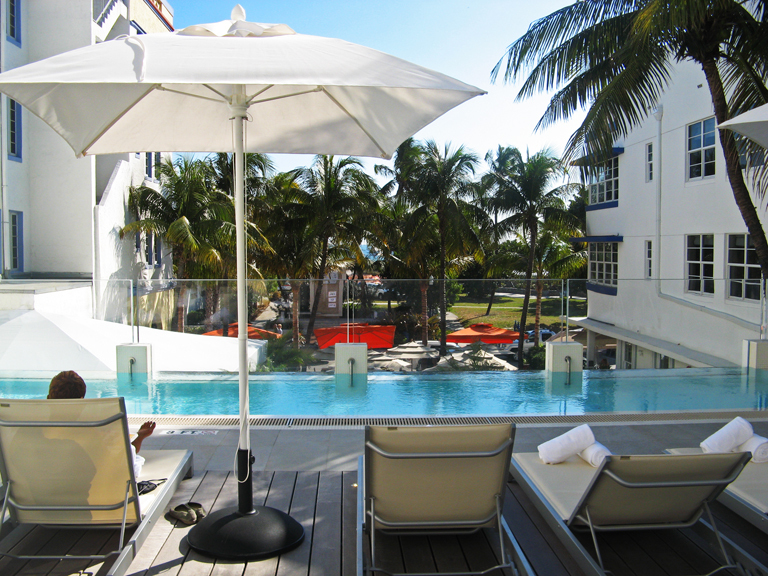 That aside, I was greeted by a very friendly staff at South Beach’s Breakwater Hotel. My room was small, but this is normal for “boutique” hotels along Ocean Drive. 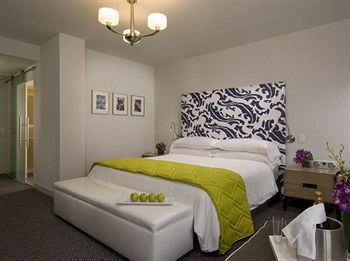 The room was very clean with modern chic decor. Wireless internet access was included in the room price. The bathroom was a knock-out with a glass shower with “rainfall” shower heads and a lighted over sink mirror that made my skin look like it did ten years ago. One of the best parts of the room was the plush mattress. I slept better on that hotel bed than I have in years. The Hotel Breakwater had a quiet, roof-top terrace pool area with a small infinity pool. The hotel also offered lounge chairs on the beach (2 complimentary per room), which I took advantage of. Beach umbrellas could be rented for $12. They also had a drink stand out on the beach where you could buy beverages without having to walk back to the hotel. I decided to depart Saturday on a 5:15pm flight out of Miami, so I could enjoy an almost extra day of sun and fun. The hotel was a great sport about locking up my luggage until I had to leave for the airport. When I explained to the front desk about my late return flight home, they offered to move my check out time from 11am to 12:30pm without me even asking. Next up…shopping, dining, clubs, and what I did for fun while in South Beach.